This week we are celebrating British science week. This year's theme is 'journeys' - rather convenient considering we are studying Rivers and states of matter! Children will be asked to think about a journey being more than the literal sense of the word. Throughout the week we will be asking the children to complete different tasks that encourage them to think critically and engage their scientific minds to look at the everyday in a different way! As always, in Badger Class we are all looking forward to some exciting, engaging and challenging learning activities inside and outside our classroom over the next half term! Gardening club continues, however, we will be reducing our time to once a fortnight due to seasonal restrictions of daylight and cold soil. Dates for Gardening Club this half term: Wednesdays - 6th March, 20th March and 3rd April. We will continue to plan for our spring planting and maintenance of the allotment in preparation for the growing season! Please keep up to date with our progress through our Gardening Club section on this page. Homework this year will continue to be shared weekly (every Wednesday) with children being expected to choose from a variety of different tasks that are linked to out topic, science and Easter festival learning this half term. The full list of choices can be found at the bottom of this page. This half term our topic is Rivers. In our learning we will be using our physical geography skills to investigate where our water comes from, what are the key features of a river, How do we use rivers and the environmental impact we have upon our rivers. To complement this topic we will undertaking a field trip to the source of the River Nar and, following its route to the Great Ouse, look at how this river has changed. In English we will be focussing on writing to inform, specifically explanation texts. We will be studying a variety of texts to support the children's learning of this fundamental writing skill whilst enabling them to experiment with expanded noun phrases, subordinating conjunctions and relative clauses in their grammar work. 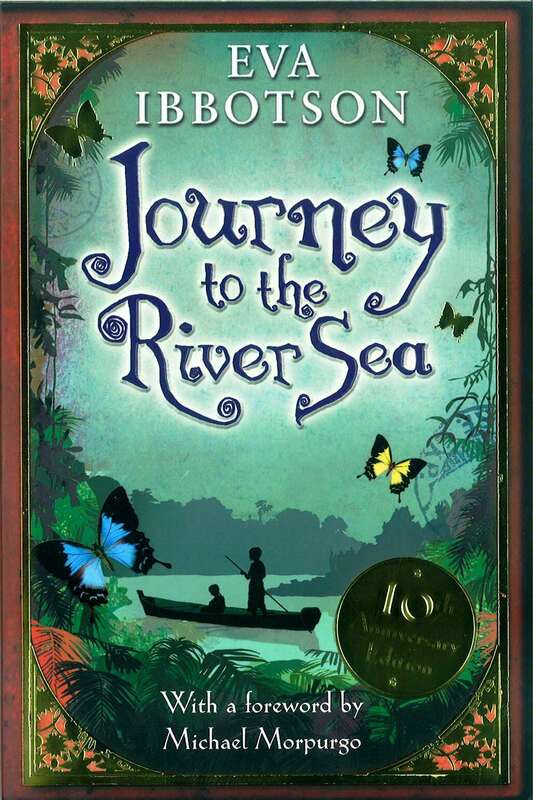 We will also be reading Journey to the River Sea, by Eva Ibbotson, together as a class. Over the half term our children will also be given opportunities to explore their understanding of River poetry and we will also incorporate drama performance to recreate our versions of the poems. In Maths we will be continuing to combine the White Rose approach with the National Curriculum to provide our children with a broad and exciting learning experience. To help support our class based learning in Maths we ask the children to practise their multiplication tables at home and we will provide weekly maths challenges to allow them to show their progress on our Maths Mountain! We will also be introducing 15 minute Maths Meetings three times a week, which will take place outside the regular Maths lessons, to continue to promote our children's progress in this subject area. Click here for a Maths website that has lots of accessible Maths games to help your child practise our learning in class and their mental Maths strategies. Our Science topic this half term is States of Matter. We will scientifically investigate the differences between solids, liquids and gases; classifying objects and identifying their properties - including an investigation into the ideal temperature to melt chocolate! We will also be exploring in-depth how water changes state - melting, freezing, condensing and evaporation - as well as learning about the stages of the water cycle through creating our own mini water worlds! Lots of great opportunities for scientific enquiry and experiments. In Religious Studies will be posing the question: How do Christians work to bring God's kingdom on Earth? The children will be able to explore contrasting explanations, ask questions and discuss their understandings of these complex and thought provoking beliefs. We will be researching the different roles charities play and our individual responsibilities. As part of our Religious Studies we will be welcoming into our school Mrs Houlder-Moat, Families worker at RAF Marham Chaplaincy, to tell us about her community and charity work. For the Spring term, Badgers Class will take part in P.E on Monday and Tuesday afternoon. On these days, weather permitting, sport will take place outside. Please ensure that appropriate kit is in school on these days! Every Thursday we will have a dedicated reading and library session where the children will be given the freedom to pick a book of their choice from the library - this is as well as their reading book. During these dedicated reading sessions we will be encouraging the children to explore text in depth using the Reading VIPERS method. Children will continue to be expected to read at least 3 times a week outside school to an adult; please use their reading records to record questions discussed, words of difficulty or general comments about the reading - these will be checked regularly throughout the week. If a book is chosen and is not being enjoyed, I have no problem with them changing it as soon as they can. As a school we use PATHS to promote positive thinking and attitudes. We have a child of the day each day who has special privileges and receives compliments from their class mates. We have a positive behaviour for learning in Badgers Class and this is shown on our behaviour chart. When children display good choices in their behaviour for learning they climb the chart, earn points and ultimately golden tickets for the half term prize draw. This year we have also introduced the house points system too - the more individual points you earn, the more your house team collects!